There are a few makeup items in my collection that I swear by, high end and drug store. 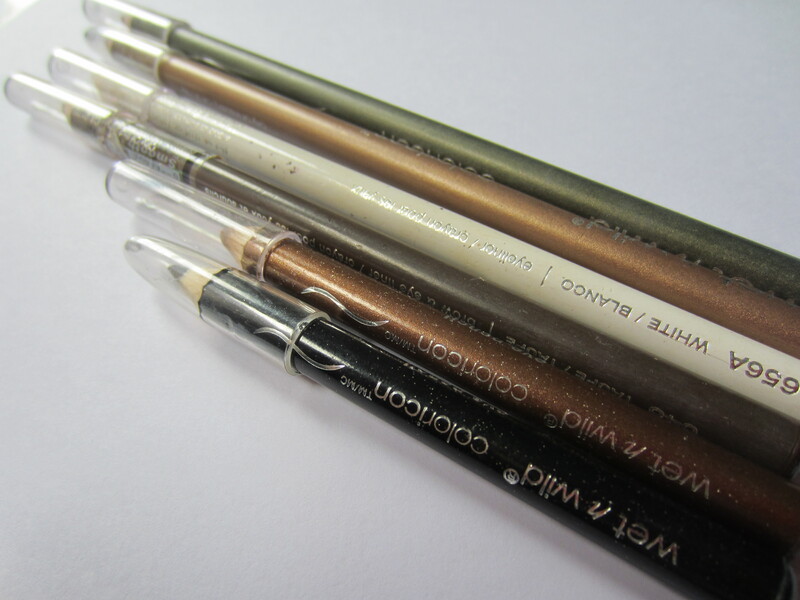 But one product that I absolutely love that doesn’t get enough positive attention are the Wet ‘n Wild ColorIcon pencil liners. I discovered these liners about 4 years ago when I wanted to try out white eyeliner for my waterline. I went to Walgreens and looked for the cheapest eyeliner in the store, because I didn’t want to spend a ton on a product that I didn’t know if I was going to like. These pencils are 99e cents so I picked up the white. I was hooked after that. While I liked that trend for about a minute, I started collecting these liners and now I can safely say, 4 years later, that I use them every single day. I have collected almost every color since discovering these 4 years ago but currently I only have 6. 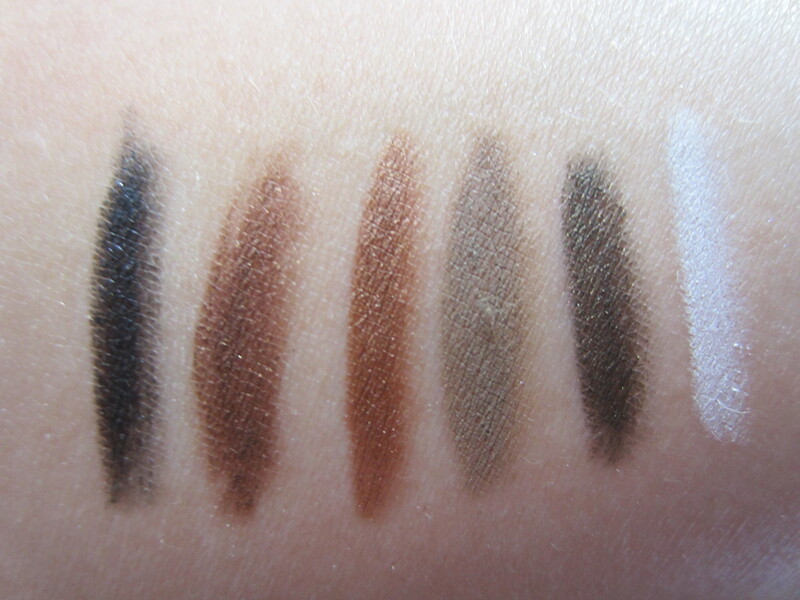 I figured I would show you guys swatches of these 6 but know that Wet ‘n Wild makes 15 different shades. Also you can see that each of these pencils are different lengths. It goes to show just how much I’ve used these pencils. These pencils claim that they are waterproof and smudge proof. They do not have a wear claim, like they last 8 hours without any type of fading. I looked up more information from the Wet ‘n Wild website, but unfortunately they only state that they are rich, creamy, and obviously affordable. What I like: The amount of product for the money. They are the longest pencils I’ve ever seen and they are only 99 cents. Also, there is a great color selection. If you want to try out the bright turquoise liner on your waterline for the summer or experiment with purple brows, these are amazing! Plus, these are definitely waterproof and smudgeproof. Even after swatching these, I tried using soap and water to take these off my arm and it took me 10 minutes of scrubbing to get them off. Finally I took out my eye makeup remover and a cotton pad and it took about 10 swipes to get them off. They definitely last although that is not their biggest claim! What I don’t like: While I love the color selection, I think some of the colors are too similar. Case in point, bronze and copper. I would assume that there would be more of a difference in the shades once they were on the eyes, since the colors on the pencils have a more noticeable difference. I came across this color in other pencils I’ve had in the past too. Also, they aren’t as creamy as I thought they would be or glide on as easily. They are a little bit harder than other pencils I’ve used, but not so hard that they aren’t workable. If you’re looking for a cheap version of the Urban Decay 24/7 pencils that are super creamy and glide on, this isn’t it. You need 2 or 3 swipes on your eye than 1 with the Urban Decay. Overall, I love these. I use the taupe and white as my brow combination every single day! The taupe is the perfect color for my brows and the white blends so easily as a brow highlight. I have used this combo every day for over a year and really love it. I also use some of these as a base for eye shadows, mainly the copper and bronze. Using them as a base is great and it keeps my shadows in place all day, but they aren’t as easy to blend as other pencils I’ve used. But again, if you want a color as a base or liner that you might not wear every day (aka emerald green or aqua blue), these are perfect because you aren’t wasting any money. If you aren’t sure that you’ll like a particular look, they I highly recommend you pick up one of these rather than spending $15 plus dollars on a higher end one.